Can I Use My Own Parts in My Outsourced PCB Assembly? 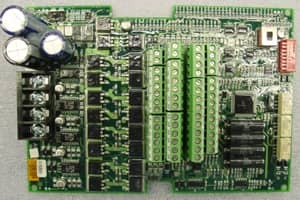 Once in a while, a customer comes to us with a PCB assembly job where they already have parts on hand wanting to know if we can incorporate these existing parts into their job. The parts may have been purchased because a bulk order was needed to get the one or two pieces for a prototype or maybe the customer used to produce the boards in-house and has a remaining inventory of components. Regardless of the reason, most times, we can incorporate these into the job without issue. One option is for us to make an outright purchase of the parts from the customer at an agreed upon value. Then, we process the PCB assembly as a completely separate transaction. This keeps the transactions clean and neat, with no overlap. The parts are then incorporated into the customers’ order as any other component would be and we handle any leftover materials inventory without the customer’s involvement. If the parts are specific to this customer’s assembly and won’t be used for any other jobs, we stock them in our inventory for that particular customer until the next order for that assembly comes in. This arrangement typically happens with customers who have recurring small batch PCB assembly orders that get placed with us repeatedly throughout the year. A second option is for the customer to remain the owner of the components and provide the parts to us on an as-needed basis for use in their assemblies. Inventory of the component is held at the customer location. We then work with the customer to determine the appropriate lead-time needed to ship the components to our shop in advance of the assembly process on their job. This approach works well when the component is highly specialized, expensive or volatile and needing special care or attention while in storage. In this scenario, the customer realizes the cost-savings of providing this component in the transaction of the PCB assembly order. In either of the above two scenarios, we can be flexible with the customer to coordinate timing, etc. that will work to accommodate the existing inventory, production needs and delivery timelines. There is always a possibility with electronic components that damage can be an issue. If this is identified as a problem, the customer would be alerted immediately, and alternate arrangements would be made to replace or find a substitute for the parts so as not to delay the overall delivery of the order. If a long period of time has passed since the components were purchased or manufactured, there is the possibility that they will no longer be compatible with the current technology they need to integrate with. This is rare, but something to keep in mind. Although rare as well, a component may not be the correct or best component to get the job done. Often this becomes apparent during the testing phase of production. If this is the case, our team may suggest an alternative component to better suit the needs of the PCB assembly. At the end of the day, it’s our mission to get our customers what they need when they need it. So, we’ll do whatever we can to make that happen including making sure the best parts are being used to complete the order. If you are doing your own boards in-house and are wondering about this, I hope it’s helpful to know there’s another option out there. If you have questions about your specific situation, drop me a line. I’d be happy to help. Ryan is the most recent addition to the RBB sales team, whose fun and energetic personality fits in well. He brings several years of sales and customer service experience to the table. Ryan consistently goes to bat for his customers to get them what they need, when they need it. Read all of Ryan’s blog posts here.